1. The Underground Wire Locator is designed to locate the path of non-energized wires behind walls and underground. The 816 is also capable of locating a specific circuit breaker, pinpointing wires before drilling and verifying dig sites underground. 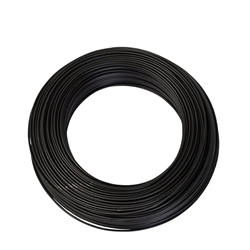 The effective range is up to 3 feet deep and up to 1000 feet in length. 2. The unit consists of a transmitter 816T is equipped with a thumb wheel switch for turning the unit on and adjusting the output level on the front of the unit for use with the large alligator clip leads. 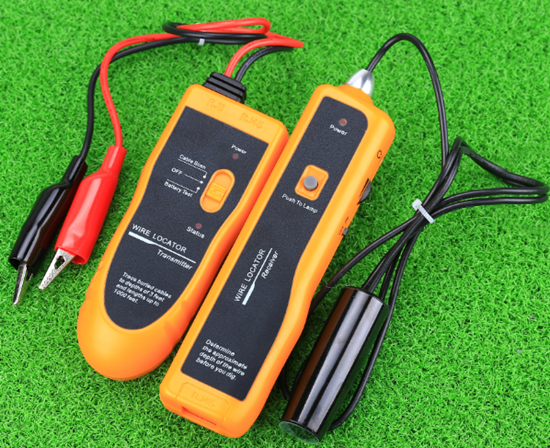 Push the switch to select to test"Cable Scan" or"Battery Test'The transmitter is constructed of high impact plastic and is powered by one 9V battery. 3. The receiver 816R, is equipped with a thumb wheel switch for turning the unit on and adjusting the receiver gain. The tracking antenna is attached to the receiver with a 3-foot long cable. Also is equipped with a White LED light and a external earphone. The receiver has been designed to filter AC power related noise. The receiver is constructed of high impact plastic and is powered by one 9V battery. 4. The alligator clip leads are available to connect the transmitter to electrical wire, CATV coax, telephone drops, irrigation control wires or metallic pipes. 6. Determining Which Receptacles are on Specific Circuits. Flertrådet med PVC kappe. Velegnet til robotklippere.